Was the Masai Mara everything you’d ever dreamed of? It was everything, and more. I had no idea that the river was so big, or that the wildebeest were so confused and that they go back and forth, and often in circles! The size of the herds was mind boggling and to see so many zebras in one place was spectacular. We saw two small river crossings and would love to return to see a larger crossing. We love cheetahs and we saw them almost every day! The people at the camps, both the Mara River Tented Camp and Faru Faru, were delightful. They were kind, interesting, helpful and fun. The Serengeti Plains are absolutely gorgeous! 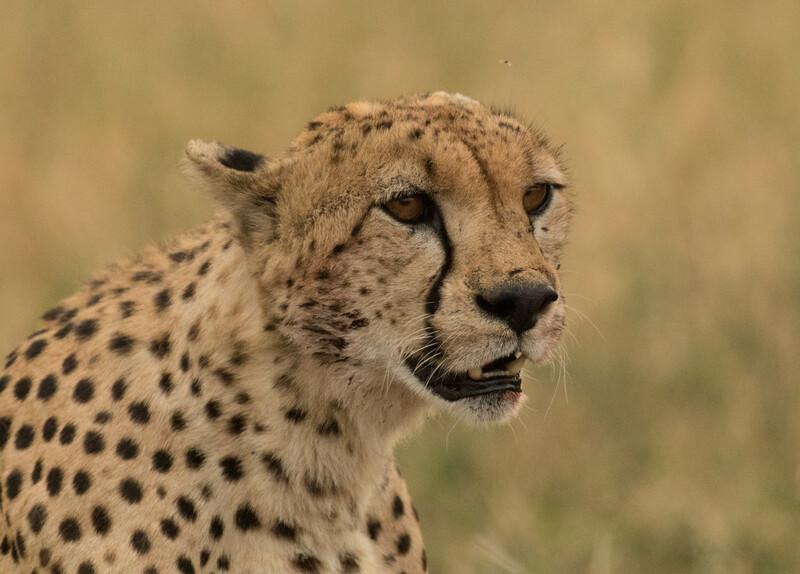 We had seen photos and documentaries, but to see the vast grasslands is spectacular…and then to see a cheetah gracefully walking through the grass is even more amazing. It is hard to choose the most unforgettable…there were so many. As we go through the photos, the memories keep coming back. I guess the viewing of the dogs at Londolozi was among the most unforgettable. It was amazing to watch the dogs around the kill, and to have the hyena come in and attack, and then call in other hyenas added to the frenzy. We couldn’t catch our breath because it happened so fast, and we were not sure that we would get any good photos because it was so chaotic. I am hard pressed to choose between the Mara River Tented Camp and Faru Faru. They were both different, and delightful. At Mara River, the tents were very comfortable, with king size beds and furnishings that were perfect for the décor and environment. The location was fabulous and we could see the river from our tent and from the lodge. It was amazing to watch the wildebeest wander beside the river while we ate breakfast. In fact, one morning there was a huge crossing just down river that we could see in the distance. The people at the Mara River Camp were delightful. It is a small camp and everyone was very helpful and friendly. Our ranger Benson Mboya, was absolutely incredible. He went to endless lengths to be sure that we had the experience of a lifetime. At Faru Faru, the accommodation was a hybrid, with walls like a building and a roof like a tent. The windows were the full length of the room and it was easy to watch the elephants stroll by and the monkeys peek in the windows. There was also a beautiful waterhole in front of the lodge where you could watch the zebras swimming in the morning, and the elephants in the afternoon. At Faru Faru, they also had the practice of having a camp fire each evening where you could chat with other guests and discuss the sightings of the day. They like to provide surprises there as well, and one morning we had a wonderful breakfast in the bush. Our guide at Faru Faru, Peterlis Kibwana, was very interested in birds, which was great for us since Jim is a zoologist with a specialty in birds. He had a great time photographing a pearl spotted owlet, which is seldom seen since it is so small, on one occasion and a secretary bird on another. Were you lucky enough to see the migration? If so what did you think of it? We were blown away by the migration. It is unbelievable to see such large herds of wildebeest and zebras. The little Thompson gazelles are gorgeous as well. It is so different than the way they depict it on TV. All of the programs we have seen seemed to indicate that the wildebeest and zebras form giant herds, and they follow each other across the river into Kenya, and then later in the year they come back. It is not nearly that straightforward or organized. A herd will start to approach the river and then they will turn around and go back. They will run around in circles, and then they may try again. They may charge toward the water, only to turn around at the last minute. They may wander around the river for hours on end. Sometimes part of the herd crosses, and then they return, and sometimes they are going in both directions at once! They don’t seem to pick the easy places to cross either. Often it is a place with fast current or high banks, rather than a shallower place. We have never seen so many vultures! In fact, we didn’t think that many vultures existed. Finally, we were surprised that the crocodiles were not an issue while we were there. They had eaten so much in the previous weeks that they did not pay any attention to the wildebeest. What did you see on your 12 hour game drive? The 12 hour drive was fantastic! Being out for a full day allowed us to cover a lot of territory. 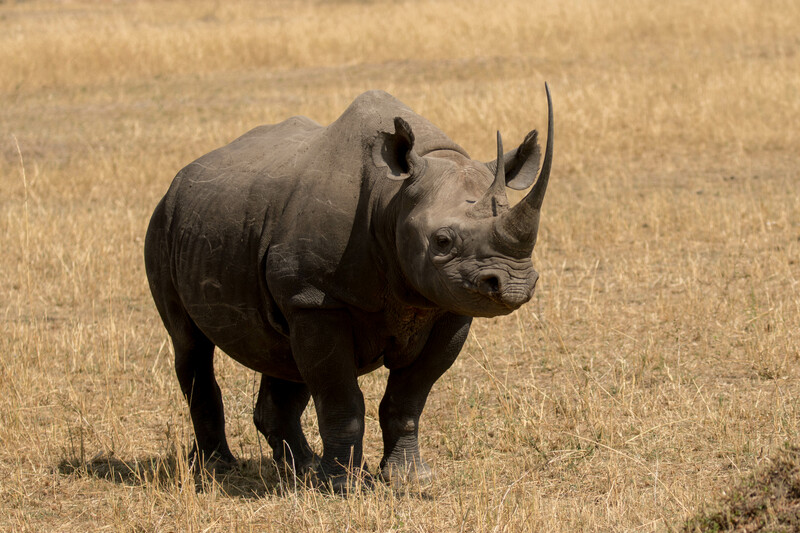 There had been a report of a black rhino with a year old calf about 1.5 hours from the camp. Our ranger, Benson, tracked the rhino and we were able to spend a good half hour photographing the rhino and calf without anyone else in the vicinity. It was absolutely beautiful. We also saw lions mating, a leopard with a kill in the tree, huge herds of wildebeest and zebras in the plains, and klipspringers on the rocks! The two other highlights were cheetah brothers and a serval cat. 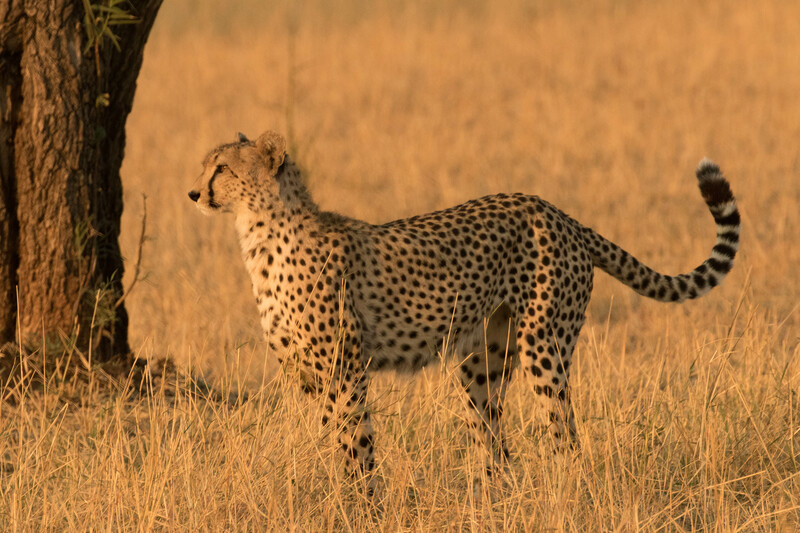 The two male cheetahs were lying in the long grass and we were able to watch them interact. We had only seen lone cheetahs before so it was lovely to see the brothers together. Similarly, we only had a fleeting glance at a serval cat in the past. 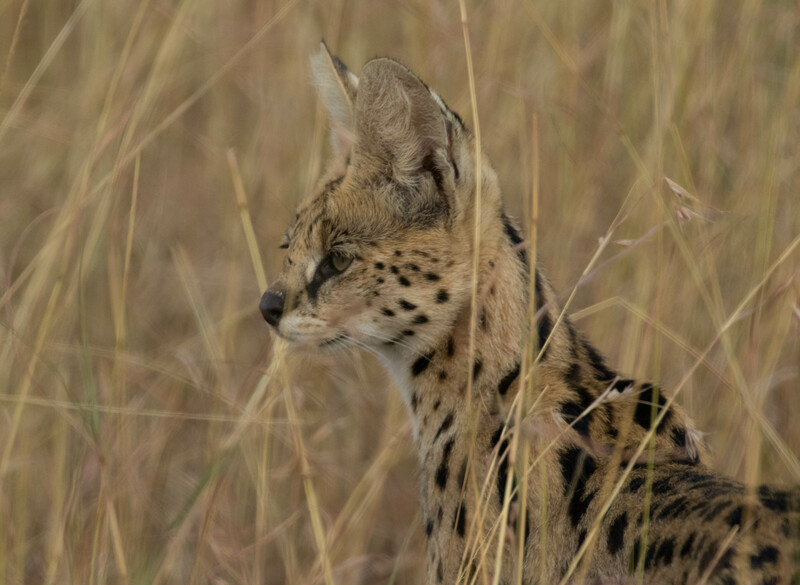 This time we were able to follow the serval through the high grass for twenty minutes, watching it look for and stalk prey. What a gorgeous, elegant cat! What did you think of the staff at the camps? The staff at all three camps, Mara River, Faru Faru and Londo were delightful. We loved them all. What is it that made Londolozi your favourite camp overall? Somehow Londolozi has developed the approach that each time we visit, it is like we have come home. This time we were met at the airport by Garrett and Life, who had been our ranger and tracker the last time we visited. Trevor, who had been butler the last few times greeted us at the camp, even though he was not going to be the butler this time. We had the same room we have had on the last four trips and we absolutely love Pioneer. It is so nice to have a kitchen right on the deck so that you can interact with the chef and the staff, and with only three suites, it is very private and personal. Two years ago we were able to take over the whole camp with family and friends which was spectacular. The staff at Londo is fabulous at creating memorable moments, ranging from dinner in the bush, to wine tasting by the hippo pool, to a private dinner in your room. Tayla Smith, our camp manager, arranged a wonderful barbecue in the bush, catered to all of the individual needs, and in fact cooked it all herself! In addition, Londolozi has the best overall game viewing in our experience. 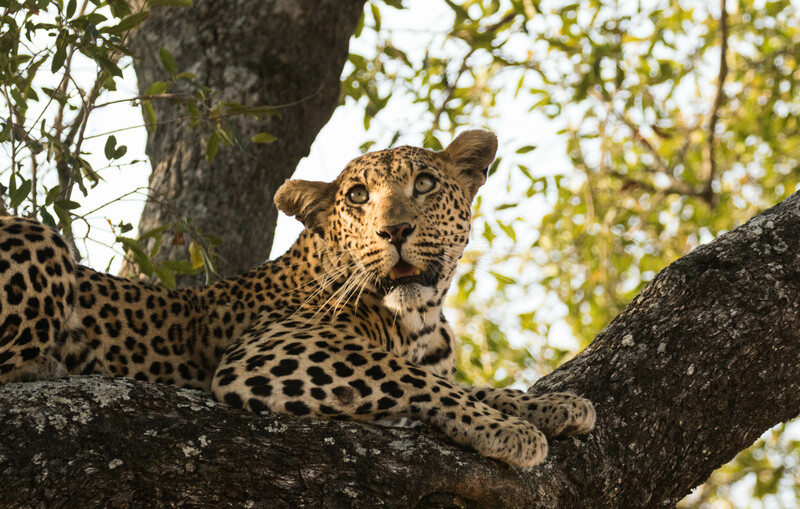 You can’t talk about Londolozi without starting with the leopards. 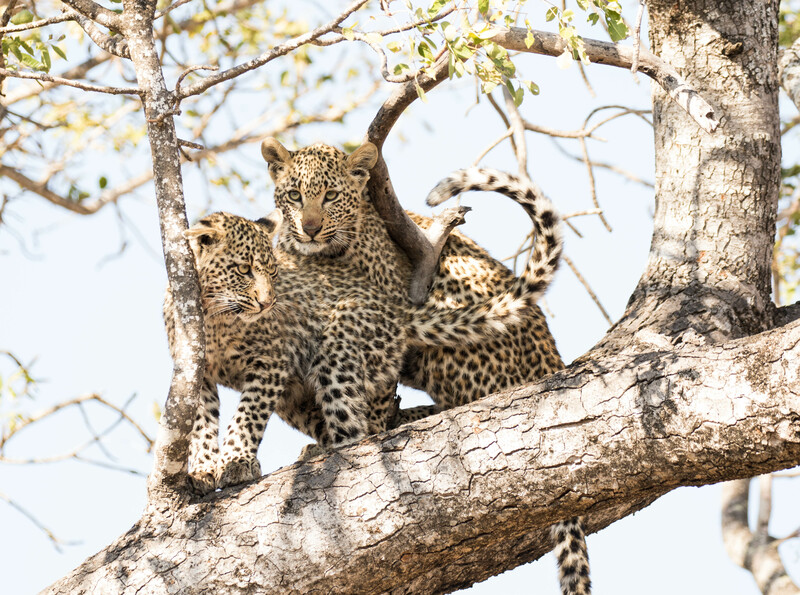 The leopards are incredible, and to learn the history of each leopard is fascinating. We find that when we get home we follow the blog to find out what has happened with the latest cubs. 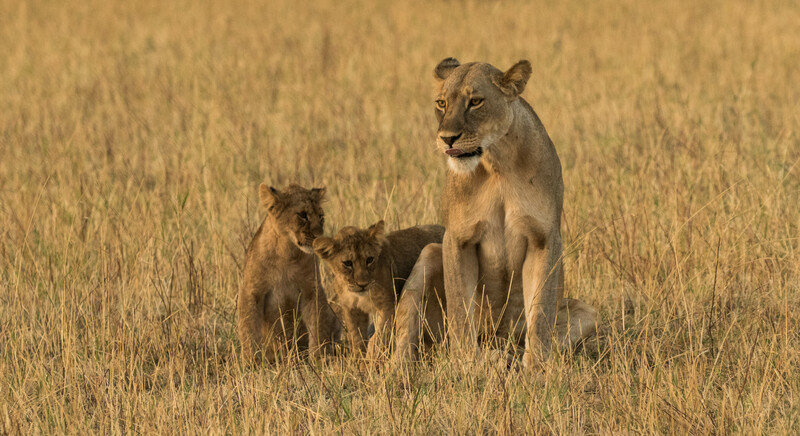 This time when we saw the Mashaba female we knew that it was John Holley of Iconic Africa’s favorite, so even though he is no longer at Londolozi, we were able to share the experience with him. However, it is not just the leopards. The property is large enough and so varied in topography, that each day is a completely new experience. It is not unusual to see the big five in one day, but there is so much more, and we get great joy in seeing what each day brings. Seeing four rhinos in the river bed, or a group of giraffes ambling across the landscape, or a hippo making its way back to the water, or a pride of lions laying on the sand by the river, or a bull elephant blocking your way back to camp, is all magical. We are already booking our next adventure. We are planning a return to the Mara River Tented Camp, Faru Faru and Londolozi, and will add a stay at Tswalu Kalahari. Iconic Africa did such a magnificent job when creating the last itinerary, we can’t wait to see what they will suggest this time! Thank you Jim and Deb for taking the time to give us this awesome feedback and for your exceptional photos. We hope to have you visit us again soon.